It’s often been said that writing is a creative pursuit, but book publishing is a business. In fact, the process of getting a print book into the world can be complicated. If you opt to self-publish a book, you’re responsible for all the decisions related to the book and mistakes can be expensive. If you’re like a lot of aspiring self-publishers, first you visit your friend Google and do a little research. If you do a search on “self-publishing” you’ll see ads for big companies like iUniverse, and Outskirts Press. There are key difference between companies like CreateSpace and “self-publishing companies” like iUniverse. Although these companies use the term “self-publishing,” it’s misleading. If you sign up with iUniverse, you are not self-publishing. These companies are what’s known as subsidy or vanity presses in the industry. And almost every knowledgeable person in publishing recommends you avoid them. are all now associated with subsidy presses. The problem with these companies is that they separate you from your profits by acting as a “middleman” between you and the real print-on-demand printer they are using.. Print on demand means that books are printed when they are ordered and it’s arguably the most affordable way to publish a print book. But because a subsidy first charges you to publish, then marks up all the printing, most people end up making little money on their books. The publishing landscape is littered with unhappy authors who made poor choices for producing their book. Some subsidies are better than others, but some are complete scams playing off the dreams of writers. It’s definitely a “buyer beware” situation. Like I said, subsidy presses mark up their printing costs, and then pay you only a percentage of sales (called “royalties”). 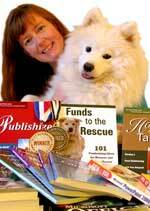 If you want to make money on your book, a subsidy press is not your friend. Even worse, many subsidies often have complicated contracts and keep rights to artwork you paid them to produce. Most people regret going with a subsidy once they discover the alternatives. To make the most profit, you need to be the publisher of record. To do that, you buy your own ISBN block from Bowker at http://www.myidentifiers.com. Owning your own ISBN makes it possible for you to go to the printer directly and get the same distribution the subsidies offer. I only recommend two print-on-demand printers: CreateSpace (http://www.CreateSpace.com), which is owned by Amazon.com, and Lightning Source (http://www.LightningSource.com), which is owned by Ingram. Some companies like Fast Pencil and Lulu can act as printers, but they are just marking up printing from another company (usually Lightning Source). For example, a 200 page book costs $9.30 to manufacture at Fast Pencil. However, you can get the same book for $3.50 at Lightning Source. Why spend $5.80 more per book? Although many people like Create Space, I personally print my books through Lightning Source because you get better distribution for less money to online bookselling sites. However, Lightning Source has higher setup fees than CreateSpace and doesn’t have forums you can turn to for community support like Create Space does. If you only plan to release one book and aren’t worried about distributing books anywhere other than Amazon.com, Create Space can be a good option. When it comes to book publishing, a little knowledge can save you a lot of money. Spend some time researching your options before you sign a contract you might regret. Just because a company comes up first in a Google search doesn’t make it the right choice for you and your book! (http://www.SelfPublishersOnlineConference.com). Use the code Janal12 and get a 10% discount!